We had our annual planning meeting this morning for Whitefish Gallery Nights. We’re in the process of updating the website and getting the new brochure ready. Please see our schedule for 2019 here. You will notice that the date in July is for the second Thursday of the month since the first Thursday is Independence Day. Gallery Nights will be held on July 11th instead. We have two new galleries joining us this year, Mudman Galleries and Samarah Fine Art is returning. You can see a full list of the galleries that are participating here. We hope to see you this season at Whitefish Gallery Nights. The season begins in May so mark the dates on your calendar and come celebrate the art of Whitefish with us. We are celebrating our 15th year and we will be exhibiting some wonderful artists. Please join us! 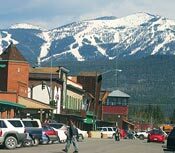 ← Visit All Your Favorite Whitefish Galleries During Christmas Stroll!